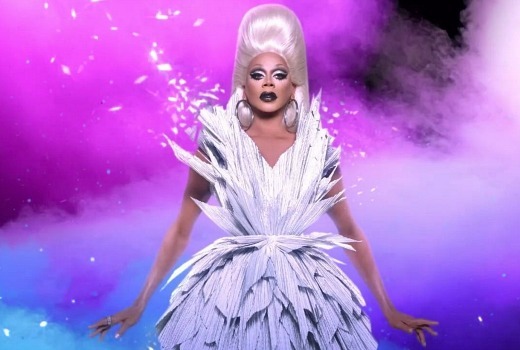 Long running reality series RuPaul’s Drag Race is switching teams for its 9th season, no longer a Foxtel property. From March 25 it will be a Stan exclusive, with episodes fast-tracked weekly, the same day they air in the US. In the past fans have been vocal about wanting the series without delays, prompting Foxtel to defend its playout. Now it seems Stan has swooped on that fanbase, under a new deal. The dragtastic new season will see 13 queens competing to become America’s Next Drag Superstar. Singer, model, actor and drag performer RuPaul Charles continues his role as host, mentor and chief judge for which he won an Emmy in 2016. Pop superstar Lady Gaga appears in the season premiere as a guest judge, along with a shocking opening moment that will go down as one of the most jaw-dropping events in Drag Race history. The 13 queens vying for the top prize include: Aja (Brooklyn, NY), Alexis Michelle (New York, NY), Charlie Hides (London, UK), Eureka (Johnson City, TN) Farrah Moan (Las Vegas, NV), Jaymes Mansfield (Madison, WI), Kimora Blac (Las Vegas, NV), Nina Bo’nina Brown (Atlanta, GA), Peppermint (New York, NY), Sasha Velour (Brooklyn, NY), Shea Couleé (Chicago, IL), Trinity Taylor (Orlando, FL) and Valentina (Los Angeles, CA). RuPaul’s Drag Race is produced by World of Wonder Productions with Fenton Bailey, Randy Barbato, Tom Campbell, Steven Corfe, Mandy Salangsang and RuPaul Charles serving as executive producers. Thursday March 25 on Stan. When RuPaul’s Drag Race confirmed its S9 date, people asked Foxtel if they’re going to play it. They said they don’t know and will find out. Why wait until people asked for it? I don’t think Foxtel cares about the show. At least Stan cares. Happy for all the Aussie fans. Stan is much cheaper than Foxtel and airing it same-day shows they might actually respect this audience.